Considerably important and greatly innovative Culture of historic Tao-Klarjeti, full with medieval monuments of high artistic value now represents less known part of rich Cultural heritage of Turkey. Tao-Klarjeti like other parts of medieval Georgia was the place of different invasions during the centuries. In the 16th c. parts of Tao-Klarjeti were occupied by Ottoman Empire. During the Russian-Turkey wars in 19th c. borders were changed between this two Empires. Part of the country was left with Turkey and part with Russia. For Turkey it was the very last province with very low standard of life, without tourism, infrastructures and cultural interests, but with a huge number of monuments preserved there. When presenting the abstract of this speech I specially emphasized that under the word "preserved" I meant rather our wishes than the real situation of nowadays. Thanks to the 21st Byzantine congress we had the opportunity to listen to our colleagues from Turkey, Dr. Mine Kadiroğlu and the members of her team . Towards the problems, concerning the maintenance, protection, keeping and preservation, the works done for the historic buildings are mostly promising. Now I would like to focus on the monuments presenting interest from scientific view and also on some problems, we are not able to pass by. Cultural heritage of Tao-Klarjeti comprises much more, than monuments of Klarjeti monastic centers and Tao brilliant churches . I would like to speak on the Cultural site that is less "popular" and more abandoned. Among the "forgotten" places is the earliest Christian Church of Georgia, later an Episcopal seat of Erusheti (eastern part of Turkey, Ardahani area). According to the Chronics King Mirian who declared Christianity as a state religion for Iberia in early 4th century, received gifts, money and relicts from the Byzantine Emperor Constantine the Great who also sent masons to built new churches. On the way to Mtskheta, the capital town of Iberia, they built the first church in Erusheti and left the nails of crucifixion as a relict there. 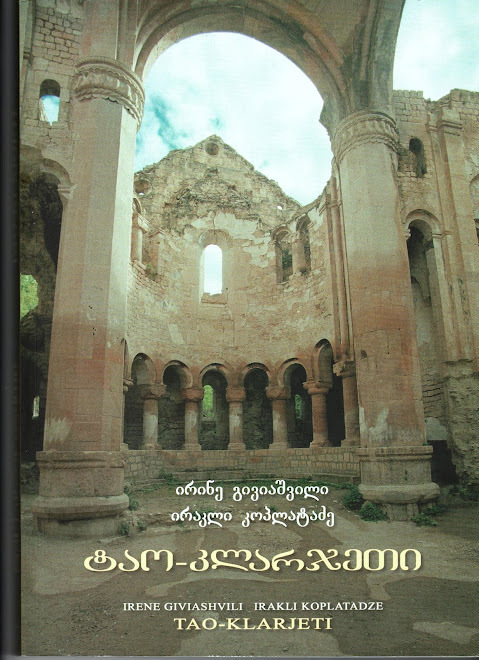 The remnants of the Erusheti church were explored by E.Takaishvili in 1902 . He considered the building as a late XII c domed church. Looking on the plan and comparing it with the buildings constructed during the Constantine's reign we may suggest, that the plan of Erusheti (measured and drown by the architect Kldiashvili in 1902) represents the Early Christian basilica church building. It has the projecting sanctuary, without adjacent rooms, while there was no liturgical need. The roof could be the wooden only, like in all other churches build by Constantine's masons . The difference becomes evident, when we compare it with the other early Georgian basilicas . During the last century, the stones from Erusheti church were demolished. Only the lower parts have survived. Archaeological excavations can provide valuable information on the first Christian church of Georgia and on one of the earliest buildings of Constantine's masons. The next site I would like to speak about is the remains of the great Cathedral of Bana near Oltu. "After Hagia Sofia, Bana is the most wonderful sample of architecture I've seen in the whole East" said the German traveler Karl Kokh who found Bana still standing in 1843. Soon, during the Russian Turkish war the cathedral was bombed and ruined. Bana Cathedral is a domed rotunda with an inscribed tetra-conch surrounded by a continuous ambulatory. Tower-like piers comprise chambers of three levels. This structural feature made Bana more stable than other churches of the same type. But now, already destroyed cathedral needs our support. The walls are falling, and only two columns are left from six. According to chronicles, in 1032 King Bagrat IV (1027-1072) married Helene, niece of Emperor Romanus III Argyros (1028-1034) . The members of Bagrationi royal family were buried at Bana. Archaeological investigation of Bana should be placed at the top of the list due to its artistic and historical importance. Excavations in Bana will provide us with information concerning different aspects of history, art and architecture of the region. In historic Tao, near the Tortum lake stands one of the greatest churches of medieval Georgia, a brilliant example of church architecture in Eastern Turkey. Talking about the monuments of medieval Tao-Klarjeti there is no doubt that Oshki is the first for its historical significance and artistic level. In Oskhi there was a monastery from Xth to XVIth centuries. The four well-known manuscripts written in Oshki (the Oshki's Gospel, the Kings' Books, the Oshki's Heaven and the Treasury) provide valuable evidence for the study of the political and cultural life of medieval Georgia and Byzantium. Nowadays the Oshki Monastery consists of the remains of chapels, a refectory, a seminary, a bishop's residence and a scriptorium. The builders of the Oshki were the brothers, King David Magistros, later Kuropalates and Bagrat Eristav of Eristavs. According to inscriptions "Construction of the church was commenced on March 25 of the year 963 on the day of Annunciation" and "took ten years", that is the works lasted from 963 to 973. The church, dedicated to the St. John the Baptist, is a domed building with three apses and with elongated western arm. The dome stands on four freestanding pillars. The popularity of the triconch architecture in the Middle Ages is largely related to the monasteries on Mount Athos . Iviron Monastery on Mount Athos, owned by Georgians in the Middle Ages, was one of the earliest and strongest ecclesiastic and cultural centres on the holy mount. Both monasteries Oshki and Iviron are founded by Tao rulers, the most remarkable personalities in Georgian history, David the III Bagrationi († 1001), who gained the title of Kurapalates in 973 from the Byzantine Royal Court for his military success and diplomatic achievements and Tornike Patrik, a man greatly respected both in Constantinople Georgia. In terms of architecture, it can be assumed that it was the plan with free-standing piers that the Georgians contributed to the architecture of Mount Athos following the example of Oshki in Tao. 4. Two carved stones in the later wall of the mosque were discovered in 2003. The fronts have images of donors praying to Saints. Bagrat Eristav of Eristavi and St. John the Baptist in a fur garment (130 cm). The stones are covered with inscriptions in old Georgian letters. These stones are dated from the period 966-973 and are unique because of their composition, inscriptions and content . We may say: Oshki was lucky to have the mosque placed in its south part. Later it was moved to a separately built building. In the middle of the 20th century the wall under the Deesis and donors composition was removed in order to find a treasury there. For the last decade Oshki became one of the most popular sites for Georgian tourists and often visited by European and American visitors as well. But what we find there except for the gorgeous ruins of Medieval building? And finely I would like to attract your attention on the building which is known as a charming piece of Architecture, rich with ornamental sculpture, adorned with marvelous paintings, with deep historical roots. Standing on high hills in Tao, Iskhani church is a real adventure for visitors. Scholars have done very little to identify construction layers in Iskhani . A monographic research by Turkish scholar, Dr. Kadiroglu dedicated to architecture of Iskhani and later to its murals . Further works has to be continued. The graphical documentation, new measurements has to be done. Paper aimed to show the diversity of problems concerning medieval heritage of Tao-Klarjeti, the aspects of scientific researches and the plans for our actions, the risk factors for the existing monuments and … managing the heritage. The emergency of the works done for the medieval churches in the North Eastern region of Turkey became more important after a dam started to be built. The dam consisting of 11 HPPs will flood over the basin of the river Chorokhi (Çoruh). Does it affect the churches? - Is the question. While architectural Monuments with mural paintings have adapted to natural conditions over time, increased humidity due to dam reservoir may destroy them. We need support for such projects as mentioned by Dr. Kadiroglu and make use of the chance of Dam construction to accelerate the conservation and restoration works. 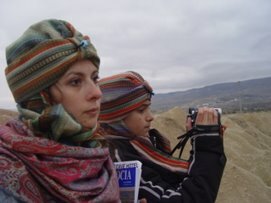 We, the experts of Georgian art, are looking forward to the future collaboration with Turkish and Georgian authorities as well as international organizations in developing and implementing projects concerning the Future of the Tao-Klarjeti monuments. Gamarjoba Irene! Nice to see your paper again. I will closely follow the lady of Tao-Klarjeti from now on! Pity - I do not understand too much of what you're writing about this small church in South Ossetia. Is it near the Ksani river?